Rontis Corporation S.A. announces that its Swiss subsidiary Rontis AG (Zug, Switzerland) has signed an agreement with Nipro Medical Corporation (Miami, USA), a wholly-owned subsidiary of Nipro Corporation, for the exclusive distribution of the Rontis Cronus™ HP 0.035” PTA Balloon Catheter in the United States. In Q3 2013, Rontis and Nipro reached an agreement for the exclusive distribution and promotion by Nipro of Rontis coronary & peripheral products in Latin America. In Q2 2015, both companies agreed to expand their cooperation in the regions of the Asia Pacific and Oceania. 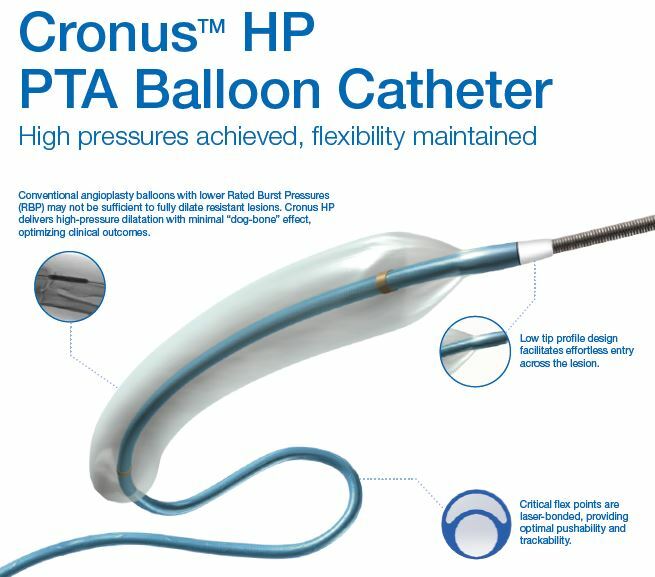 Nipro and Rontis decided to take their partnership to the next level by agreeing on the promotion and distribution of the Cronus™ HP high-pressure, 0.035” over-the-wire (OTW) percutaneous transluminal angioplasty (PTA) balloon catheter in the United States. Cronus™ HP obtained FDA 510(K) clearance in January 2016. Nipro already develops, manufactures and markets vascular access devices as a key strategic segment of its portfolio. Based on a synergistic products approach and, following the aforementioned agreement, it will expand its offering by promoting and distributing Cronus™ HP in the United States. By virtue of this extended exclusive distribution agreement, both Rontis and Nipro commit to continue contributing to society by serving additional healthcare needs of the market and assisting in improving patients’ quality of life. Nipro Corporation was founded in 1954 and is headquartered in Osaka, Japan. Together with its subsidiaries, it develops and distributes medical equipment, pharmaceuticals and glass products (which comprise the “trinity” business model for Nipro) to healthcare markets worldwide. Rontis Corporation S.A., based in Zug, Switzerland, was established in 1986 and operates 3 manufacturing plants in Europe. It develops and manufactures interventional medical devices for coronary and peripheral minimally invasive procedures, including – among others – coronary drug eluting and bare metal stents, PTCA balloons & guidewires, peripheral stents and balloon dilatation catheters. Through the supply of the specific peripheral product by Rontis under the label of Nipro, the latter’s US subsidiary will further enhance the product line offered to the medical community, in addition to its existing IVR devices and will now be in position to put more focus on the peripheral vascular treatment, in order to drive focused growth in the US market. Rontis is a privately-held specialty healthcare company, with its headquarters in Zug, Switzerland. It employs over 580 employees worldwide and is organized across 5 major divisions: Medical Devices, Pharmaceuticals, Infant Nutrition, Consumer Healthcare and Healthcare Services. It carries 30 years of experience within the wider Medical Device arena and the respective Division is active in R&D, manufacturing, marketing and international sales of its products & services. The Medical Devices Division is committed to the application of specialty minimally-invasive therapies for Interventional Cardiology & Radiology procedures by applying state-of-the-art methodologies in research & development and production. Rontis Hellas S.A., the European subsidiary of the multinational corporation – based in Athens, Greece – is among others the entity responsible for the operation of the medical devices manufacturing plant of coronary & peripheral products, located in the town of Larissa. A respectable part of the R&D department for this specific division is based there, along with 75 specialized professionals, who are involved in the development, production, testing and quality control of the said products. Nipro Medical Corporation is a leading distributor of medical devices. The Company’s portfolio includes Renal, Medical-Surgical and Vascular Access products. Nipro is committed to educating customers and delivering innovative, high-quality and value-added solutions to improve patient care. Nipro Medical Corporation is a wholly-owned subsidiary of Nipro Corporation, headquartered in Osaka, Japan. Founded in 1954, Nipro Corporation develops medical equipment, pharmaceuticals, and glass products for healthcare markets (“Trinity” business model) worldwide. Nipro’s Medical-Related Business segment includes injection and infusion, artificial organ, renal, intervention and anesthesiology, cardiopulmonary, and vascular access products. Its Pharmaceutical-Related Business segment provides injectable drugs, including injection kits, oral drugs, generic anti-cancer drugs and biosimilars; and drugs for external use. The company’s Glass-Related Business segment offers tube glass for pharmaceuticals, vials, and ampoules. Nipro Corporation is a $2.378B EUR company with more than 23,000 employees in 52 countries.